Saudi Arabia's Prince Alwaleed bin Talal has been arrested as part of an anti-corruption sweep in the kingdom. Reports of his arrest saw $750 million wiped off Alwaleed's fortune Sunday. Shares in the prince's Kingdom Holding company fell as much as 9.9%, before closing down 7.6% in Riyadh. Alwaleed owns 95% of Kingdom Holding, which holds stakes in global companies, including Citigroup, (C) Twitter, (TWTR) Apple (AAPL) and New York's Plaza Hotel. The remaining 5% is listed on the Saudi Stock Exchange. Kingdom Holding was worth about $10 billion before Sunday's share price drop. Kingdom Holding released a statement after the market closed saying that while it was aware of media reports concerning Alwaleed, the firm would continue its normal operations. Alwaleed is a grandson of the Saudi Arabia's founder, King Abdul Aziz Al Saud. The prince does not hold a government position, but his investment portfolio has made him an influential voice inside his home country. His personal fortune is estimated at over $17 billion, according to Forbes. The prince captured Wall Street's attention by becoming one of Citi's major shareholders in 1991, a bet that would pay off handsomely. Later, when the global financial crisis caused the bank's shares to plummet, the prince increased his stake in a show of confidence. Alwaleed has also courted controversy on occasion, suing Forbes for libel in 2013 after it said he was worth only $20 billion. In 2015, he urged Donald Trump to drop out of the presidential race, calling him a "disgrace" over threats to ban Muslims from entering the U.S. In response, Trump called the prince "dopey." In Saudi Arabia, Alwaleed advocated for giving women more freedoms, including calling for an end to the country's ban on driving. The ban was lifted in September following a royal decree. Alwaleed wasn't the only prominent Saudi to be caught in the anti-corruption drive. Three ministers have been removed from their positions, and tens of former ministers were detained as part of the campaign initiated by King Salman bin Abdulaziz Al-Saud. The arrest orders came from a committee, headed by Crown Prince Mohammed bin Salman, that has the authority to investigate, arrest, issue travel bans and freeze the assets of those it finds corrupt. 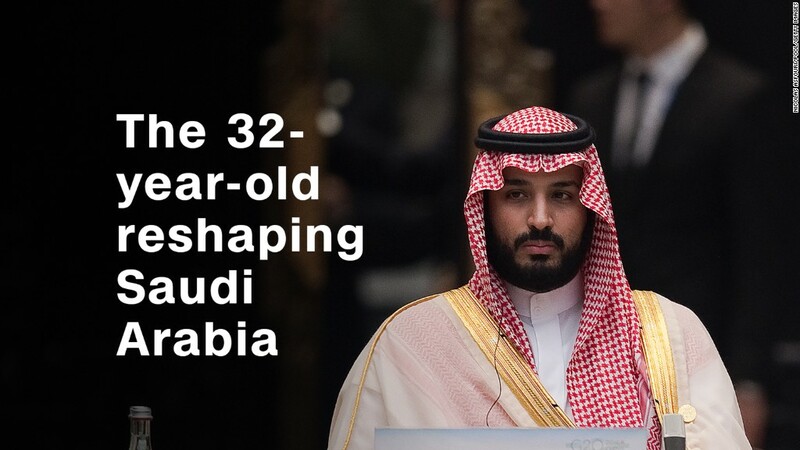 The crown prince is pushing a ambitious reform plan, Vision 2030, that is aimed at reducing the country's dependence on oil over the next decade. Saudi Arabia's Attorney General, Sheikh Saud Al Mojeb, said the committee had begun a number of investigations in a bid to combat corruption. "Everyone is presumed innocent until proven guilty, and everyone's legal rights will be preserved," he said in a statement. King Salman ordered the anti-corruption purge as part of an "active reform agenda aimed at tackling a persistent problem that has hindered development efforts in the Kingdom in recent decades," the Saudi Ministry of Communications said in a statement. --Becky Anderson and Sarah El Sirgany contributed to this report.